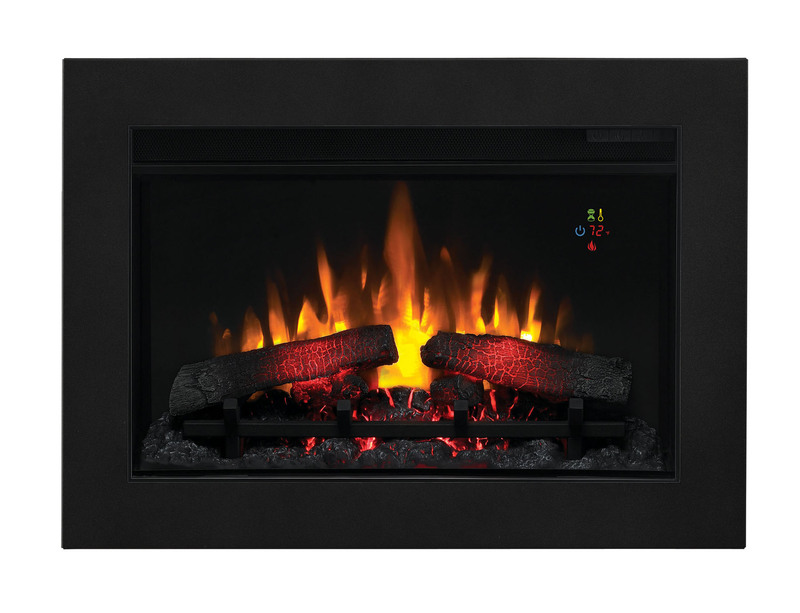 The 26" ClassicFlame Fixed Glass Contemporary Electric Fireplace Insert includes a modern chic look with sleek casing and glass piece embers. 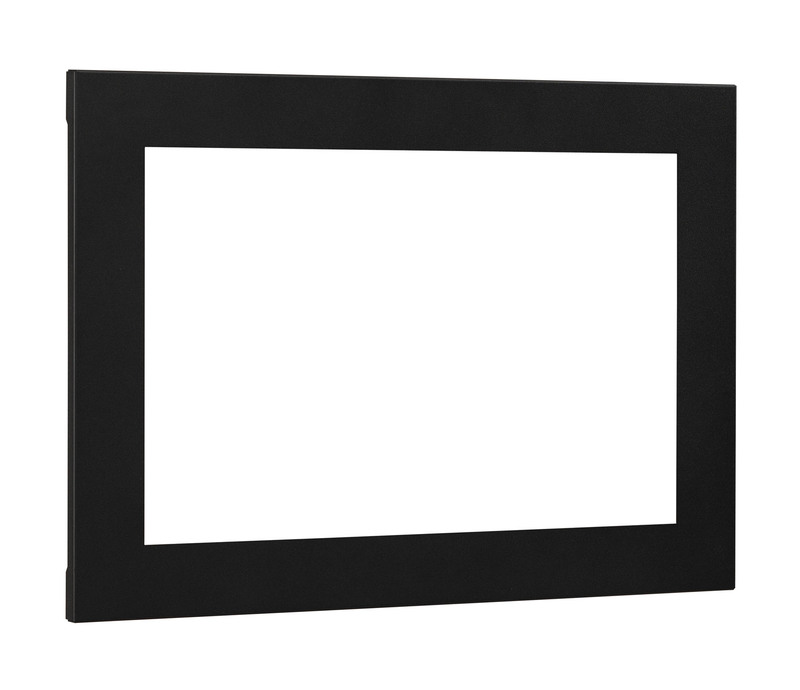 This piece offers a variety of different settings including brightness controls, a digital thermostat and timers. You can allow the firebox to shut off anywhere between 30 minutes to 9 hours. This slim electric fireplace includes an on-screen display that will fade away in seconds so that it won't be distract you. 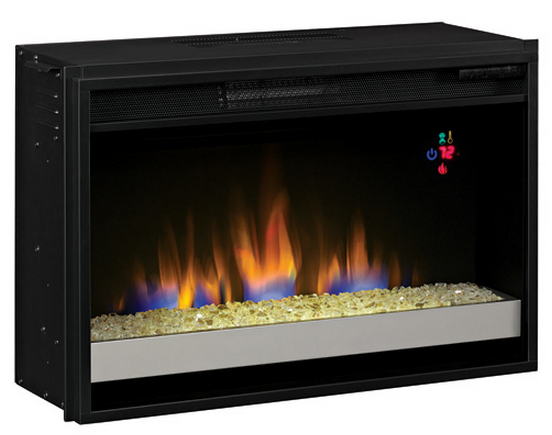 Up to 5200 BTU output of heat with 1500 watt input, these fireplaces can heat a 400 square foot room in little to no time. No venting or gas lines are needed, simply plug in and enjoy. Realistic resin logs and ember bed included that give the authentic feel of a cozy fire in your home without the pollutants or emissions. Can be used with or without heat, to bring the nice glow of a fire without the heat on warmer days. Enjoy your fireplace year-round without spending extra money on maintaining it or shutting off fuel lines. Quick and easy, 5-step installation process. Owner’s manual and easy-to-follow instructions included.